This video demonstration demonstrates the utility of a plier stapler for a variety of industrial packaging applications. The Rapid 31 plier stapler can be used to close boxes, bags and padded mailers. The Rapid 31 stapler has the advantage of being able to load a 1/2" staple. The Bostitch P6C-8 plier stapler also has many applications. It has an easy action and is very durable. It can handle a 3/8" staple. Both tools use the Josef Kihlberg 694 box staple for smooth operation. 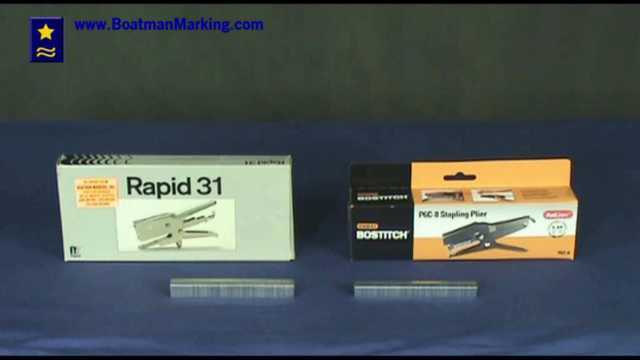 At Boatman Marking we have a wide variety of plier staplers and box staples to fit many applications.